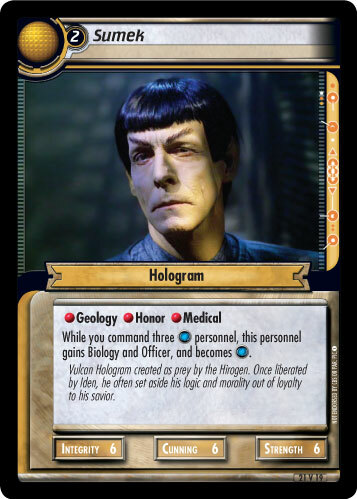 While you command three personnel, this personnel gains Biology and Officer, and becomes . 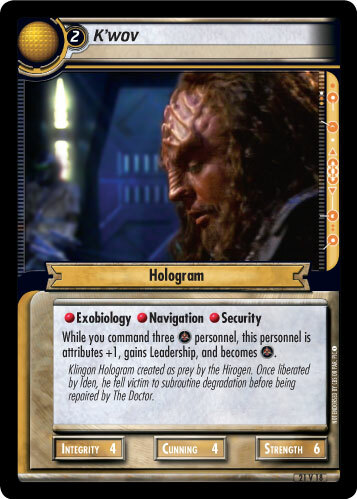 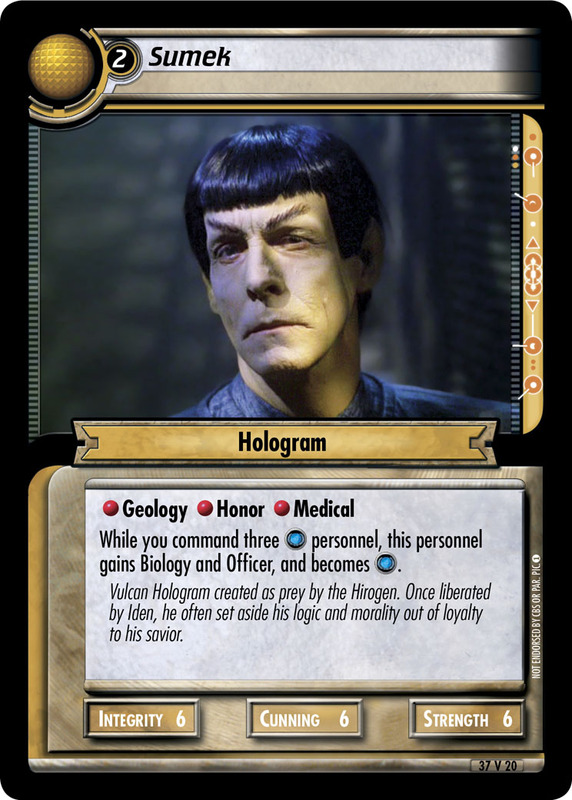 Vulcan Hologram created as prey by the Hirogen. 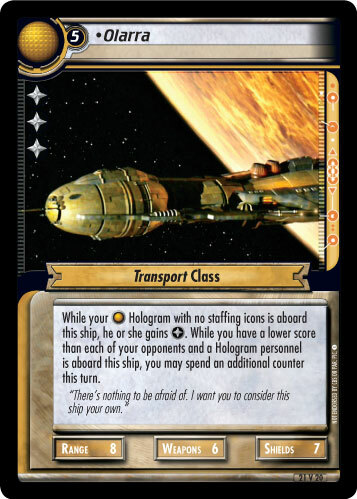 Once liberated by Iden, he often set aside his logic and morality out of loyalty to his savior.